Approximately 33 percent of Assemblies of God churches are 49 or less in attendance in public worship and almost 63 percent are 99 or less. Most of these pastors face unique struggles different from their counterparts in larger churches. 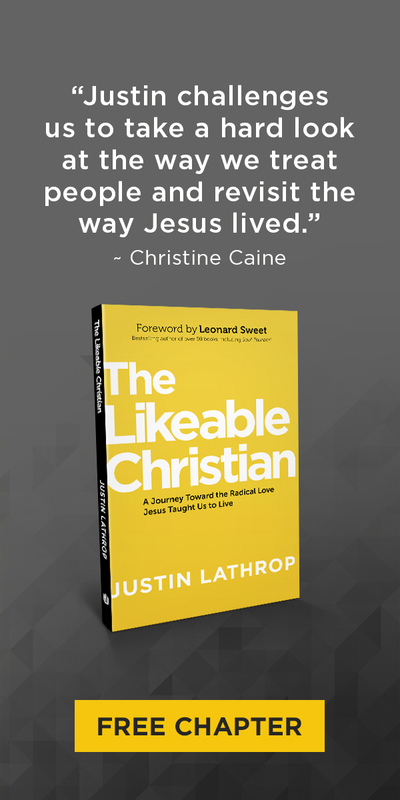 They may attend church-growth seminars and come away discouraged because most of the principles they hear are geared toward larger churches. Many small-church pastors often feel disconnected from district events because they are bivocational out of necessity. But while these churches may be small, they can be healthy and have a significant impact in their communities. 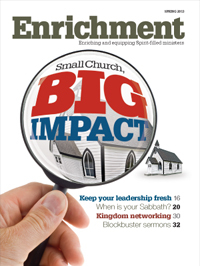 The spring 2013 issue of Enrichment is designed to encourage small-church pastors and also provide practical ideas for reaching their communities. Read inspiring and insightful articles by Warren Bird, Michael Clarensau, Steve Donaldson, Alton Garrison, Tim Leathers, Lori O'Dea, Steve Pike, Peter Scazzero, Eric Swanson, George O. Wood, and others.